Hoffman’s Chocolates Come Together collection, with its festively plaid and polka-dotted holiday themed packaging, relays a spirted and warm message about community coming together during this special time of the year. The perfect gifts for family, friends and colleagues alike, the Come Together collection includes the Double Pretzel Gift Box, a Brittle & Bites Box, Gourmet Oreo Box, and other holiday assortments. Hoffman’s Chocolates will offer these special limited-edition gift boxes during the holidays and are available at all eight of their locations. Additionally, Hoffman’s Chocolates has created a Come Together Signature Collection that they are offering for Black Friday (November 23, 2018). This special Black Friday offer includes one pound of Hoffman’s Chocolates famous Coconut Cashew Crunch, 12 delicious Milk Chocolate Covered Oreos and 6 oz. each of the gourmet Milk and Dark Chocolate Pretzel Bites in the festive Come Together packaging. The cost for this deal, only available in stores on Black Friday, is $39.95 per box (regularly $59.95 per box). 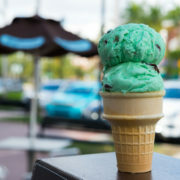 The same deal will be available online only at Hoffmans.com on Cyber Monday (November 26). 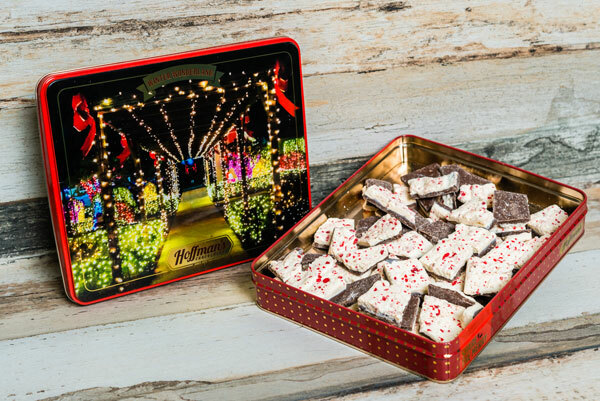 Hoffman’s Chocolates is also launching its very special themed collectable Winter Wonderland Bark tin celebrating the chocolatier’s 28th Annual Winter Wonderland that will take place in the Gardens at its Factory Store in Greenacres, Florida on November 17 through December 30. 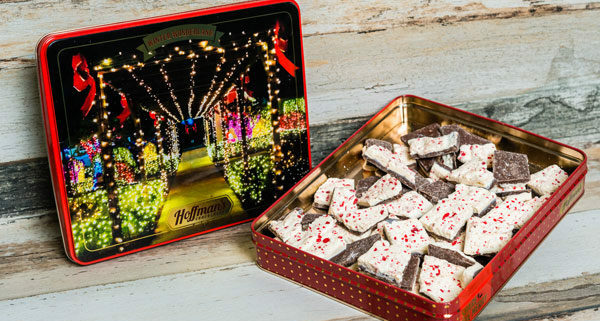 The commemorative tin, which features a beautiful photo of Winter Wonderland’s spectacular holiday lights display, is filled one and a half pounds of Hoffman’s Chocolate’s mouthwatering Peppermint Bark ($29.95). 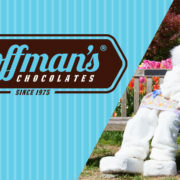 As part of its on-going support of the community, Hoffman’s Chocolates will donate $2.00 from the sale of each Winter Wonderland Bark Tin to the non-profit organization, Little Smiles. 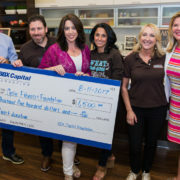 Little Smiles, based in Palm Beach Gardens, helps heal hearts and create little smiles by providing gifts and fun activities to children impacted by serious illness, homelessness or tragedy. 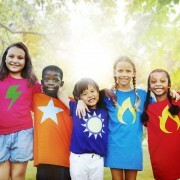 Little Smiles believes every child deserves to smile. Holiday Oreos – Festively decorated Oreo cookies are covered in chocolate and topped with beautiful holiday icings. Available in singles ($1.50) or 6-pack ($12.50). Pretzel Stack – Six of Hoffman’s Chocolates specialty chocolate-covered pretzels wrapped in a clear bag and topped with a bow. 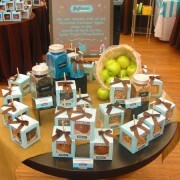 A sweet surprise for anyone’s stocking ($9.95). Oreo Stack – Six chocolate-covered Oreos wrapped in a clear bag and wrapped with a bow to make a perfect stocking stuffer ($9.95). 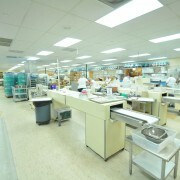 Join us as we lead you on a behind-the-scenes tour through our factory while our Chocolatiers are hard at work making holiday treats. 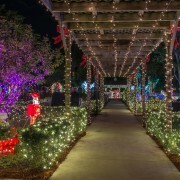 This special touring event takes place starting November 26 thru December 19 between 4 p.m. and 6 p.m. Each guest participating will receive a scoop of gourmet ice cream and an opportunity to create their very own chocolate bar and decorate it with colorful candy toppings. 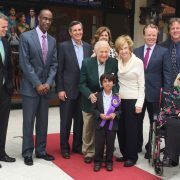 The tour also includes a special Santa Meet & Greet. $24.95 per person.